Come and visit Canggu for our self-defense camp in Bali, Indonesia. Look forward to an unforgettable week, full of fun activities, learning and connecting to like-minded women. Learn about the basics of self-defense and that everything starts with awareness. Learn how to act and defend yourself in certain situations the correct way. Enjoy spending a week with people who are here to empower you and to make you feel more comfortable in the outside world. 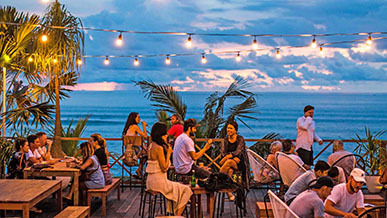 Enjoy 4 days of self-defense classes, fun activities such as morning walks at the beach, visit iconic temples, enjoy Balinese massages and coconuts, meet the native animals (monkeys & civet) and relax for a day at Bali’s most popular day club. 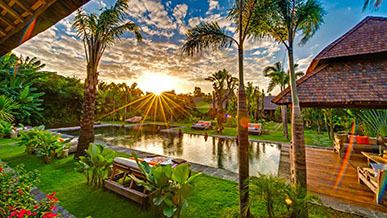 Set in the tropical beauty of Bali, with marvelous ocean views and serene surroundings. The venue is located on the beach, a magnificent place to have a few cocktails and watch the sunset. The lawn is a 2 minute walk to Old Mans, the main bar in Batu Bolong. So the group has the option of continue the party. Welcome dinner & welcome drinks included. 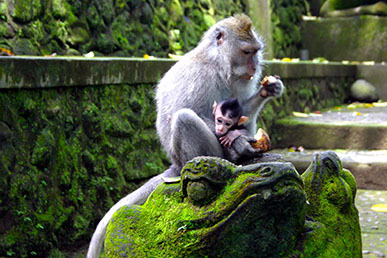 Tirta Empul, Bali, is one of the largest and busiest water temples in Indonesia. The temple was found in 926 A.D. and is dedicated to Vishnu, who is the Hindu God of water. 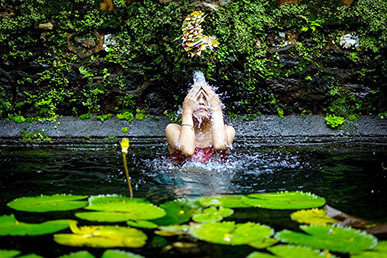 The name of the temple actually means ‘holy water spring’ in Balinese. Overlooking the temple complex is a presidential palace that was built for Soekarno, the first President of Indonesia, in 1954. The government palace is now used as a place for visiting dignitaries and important guests. 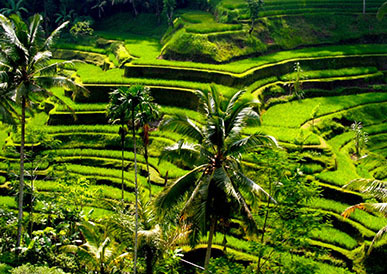 One of the top ten things to see in Bali and front and center in every guidebook, these rice terraces are stunning. They give new meaning to the word green. They crawl up the sides of the hills like steps leading you towards the sky. And like so much of Bali, the terraces are equally as empty as beautiful. Except for a few people from nearby resorts, you won’t see anybody here. Plus, there’s even fewer people walking through the rice fields. It’s just you and nature. This cool and dense swath of jungle, officially called Mandala Wisata Wanara Wana, houses three holy temples. The sanctuary is inhabited by a band of over 600 grey-haired and greedy long-tailed Balinese macaques who are nothing like the innocent-looking doe-eyed monkeys on the brochures. Nestled in the forest is the interesting Pura Dalem Agung. Note that the monkeys keep a keen eye on passing tourists in hope of handouts (or an opportunity to help themselves). Luwak Coffee (also known as ‘cat poo coffee’, originated in Bali and now Sumatra island is the world’s largest Luwak Coffee producer. 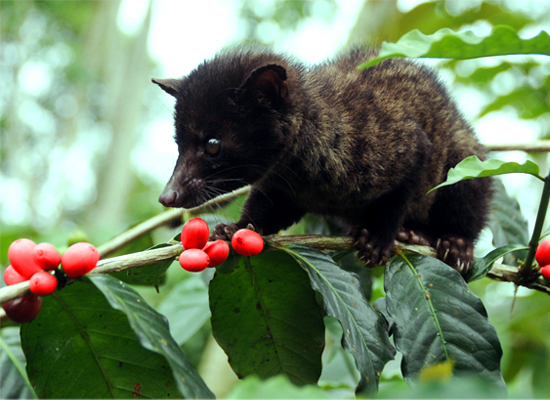 Luwak coffee is being produced by an animal called the civet. A Civet is a catlike animal that lives in trees and is native to Southeast Asia. We will visit coffee plantations, partake in tasting sessions including the renowned Kopi Luwak and local teas. A relaxing day at the spa treats us with a choice of body scrub, a signature body massage and finishes with a natural facial. A selection of Sea Salt, Coffee, Lulur or Milk bath – choose any one of these beautiful options and this treatment will exfoliate dead skin cells, stimulate blood flow, and eliminate toxin accumulations from your tissues. Your treatment begins with a foot ritual – a time honoured welcome for the weary traveler. Your feed and lower legs will be cleansed with rose petal and peppermint water, and then scrubbed with sea salt. 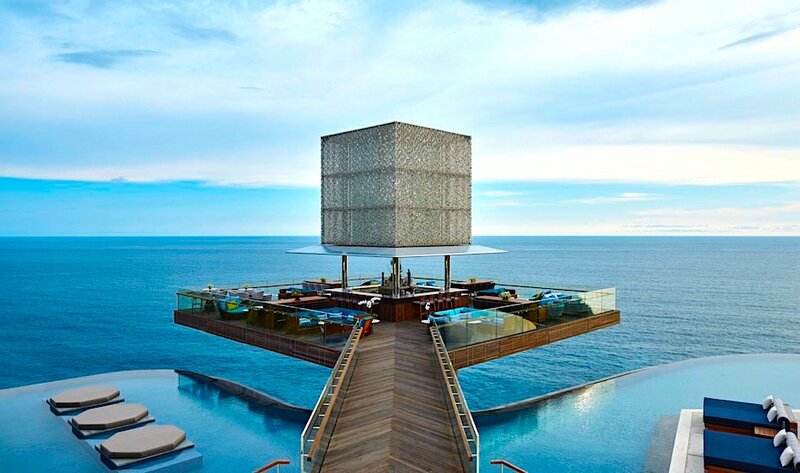 We will spend the day in Bali’s hottest day club Omnia, an all-day party destination perched on top of a cliff, 100 meters above the Indian Ocean in stunning Uluwatu. We will enjoy the day club on our private beach beds as well as have lunch & dinner in the amazing restaurant ‘Sake no Hana’. Originating from Mayfair in London, Sake no Hana brings modern authentic Japanese dining to the cliffs of Uluwatu. Stunning private villa decorated with Balinese elements is a private property – exclusive for our ladies ONLY. 3 nights accommodation, welcome & farewell dinner, airport transfer, 3 days of self-defense lessons and daily activities. Everything is included in the price. Stay longer and enjoy more of what Bali has to offer! 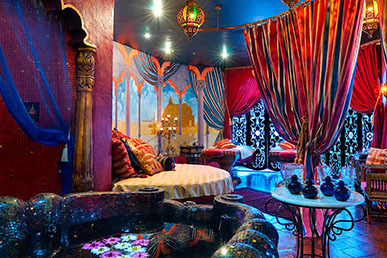 Extend your stay with one of those amazing experiences.